Moses has been out of town all week, so Vienna and I have been laying low. Don't worry, we're ok. We've been eating lots of eggs with rice, edamame, broccoli, oatmeal, and pizza. Kinda sounds weird now that I've said it out loud, but this is comfort food kind of week at its finest. 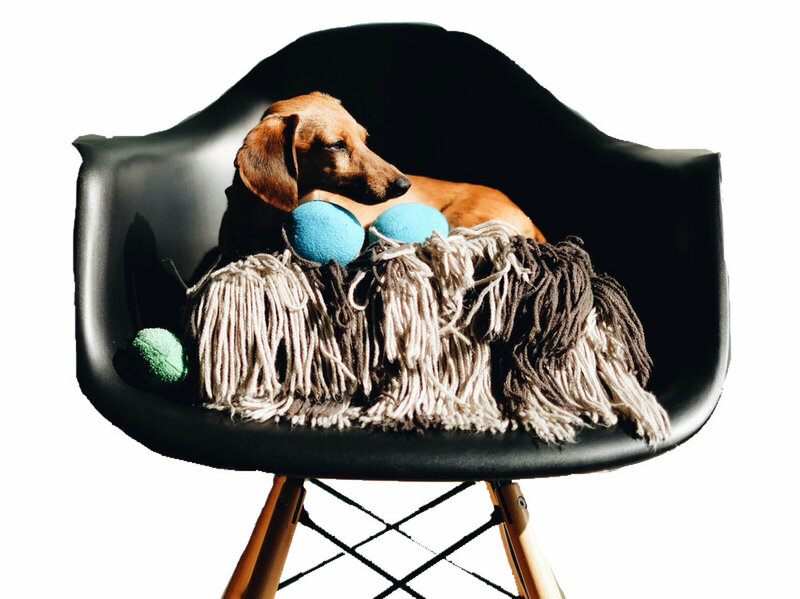 The only person we really talk to is our favorite barista, and we wear a beanie every day to avoid brushing our hair. Ok, to be clear, Vienna does none of these things, though she watches me do them, so it feels like a team effort. 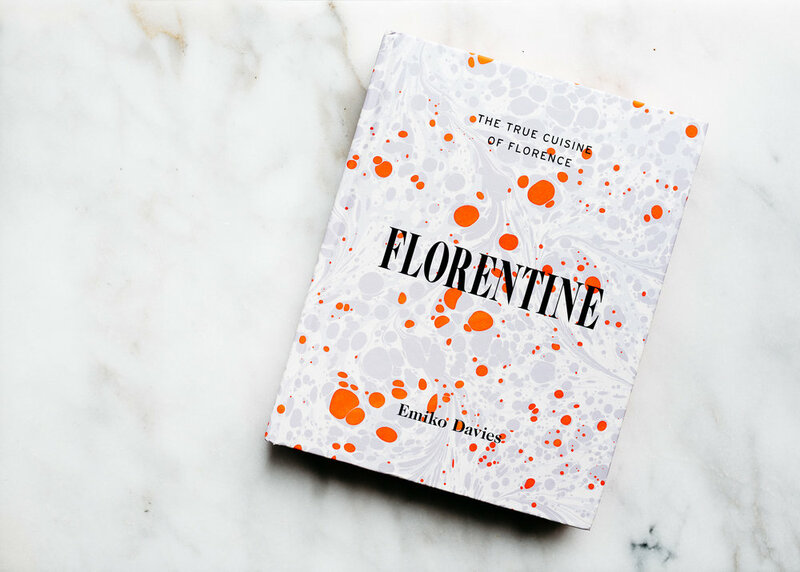 If Moses were here, there's a good chance at least one meal this week would have come from Emiko Davies' beautiful cookbook, Florentine. It's a book that I've been obsessed with for almost a year now, and have been meaning to share a recipe from for quite a while. As you know, Moses is obsessed with pasta, so I've pretty much cooked every pasta-centric recipe in the book. I'm in love with her Sugo Tuscano, a simple but delicious meat sauce and her Ravioloni di Pera e Ricotta. The ribollita makes me feel like I'm back in Tuscany with Molly, Brandon, and Rebecca. Ps - There's still one more day to enter to win a set of two, beautiful pieces of American Kitchen Cookware. Check out my previous post for Chanko Nabe to enter!! Place the almonds on a baking tray and toast for 10 minutes in the oven, then let them cool. Combine the dry ingredients in a large bowl. 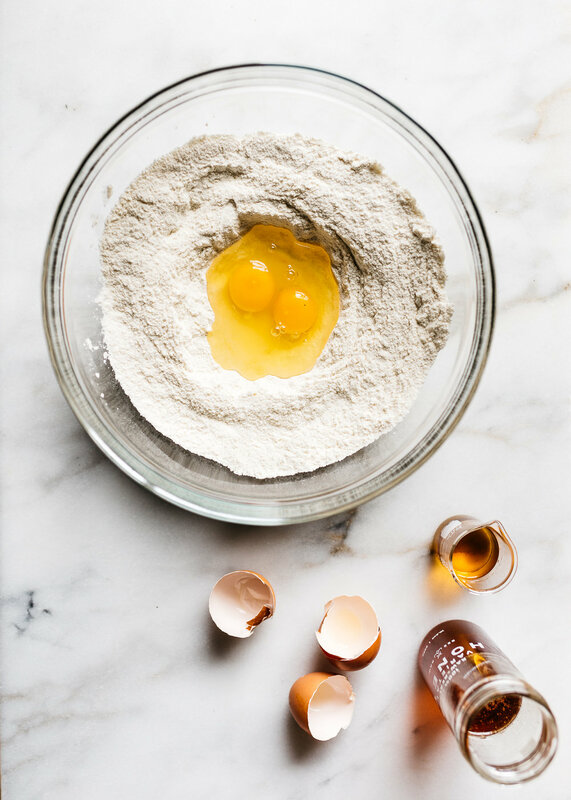 Make a well in the center and crack the eggs (reserve the extra yolk for glazing later). Add the vin santo and honey (and almond extract if using) warmed if not runny enough and beat the wet ingredients with a fork, slowly incorporating the dry ingredients around them until it becomes a dough. Add the almonds and continue mixing with your hands until the dough is well combined. Shape the dough into thin logs, about 3/4-inch high, 1 1/2-inches wide, and slightly flattened. Place on baking trays lined with baking paper, at least 2 to 3 inches apart. Beat the extra egg yolk and brush the tops and sides of the logs with the beaten egg. Bake in the oven at 360°F until golden, about 20 to 25 minutes. Turn the oven down to 270°F. 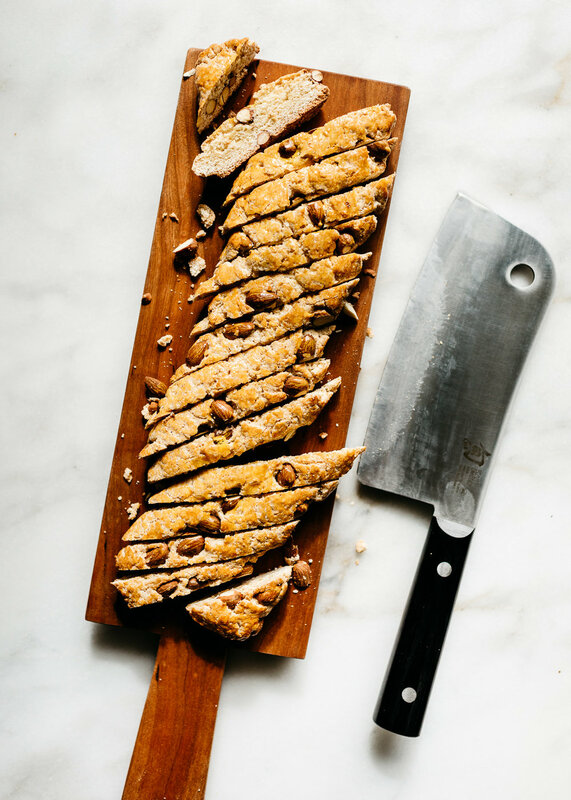 When just cool enough to handle, slice the logs at a 45° angle into half inch slices (use a sharp heavy kitchen knife that can easily chop through nuts). Place the cantuccini on their sides back onto the baking tray, and bake for a further 20 minutes or until crisp and dry to the touch (but not colored). These biscuits keep well when stored in an airtight container if they are not eaten all at once. Note: I forgot to chop my almonds in half and didn't have any issues with them. 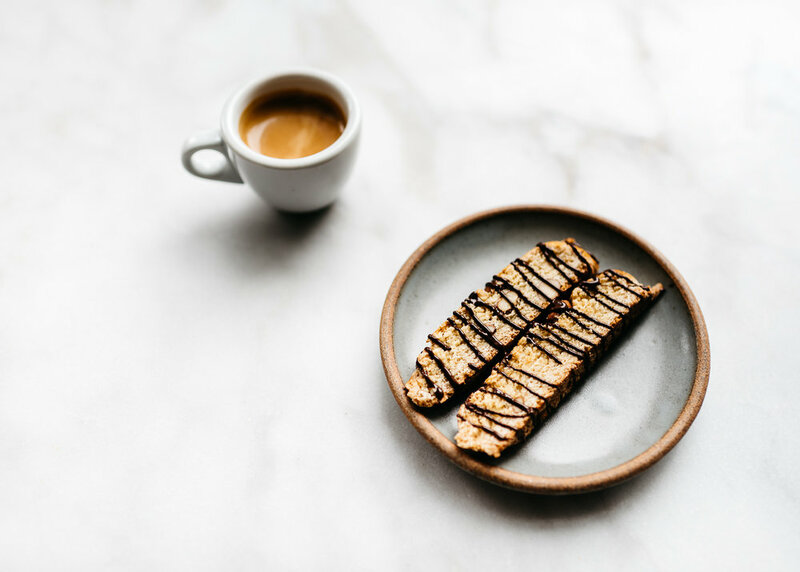 The almond extract was not in the original recipe, but I'm a sucker for it when it comes to biscotti! I ended up flipping my biscotti slices over after baking them 20 minutes and baked them more 20 more--so be sure to make sure your slices are totally dry before removing and cooling. And if you wanna drizzle them with chocolate, I used 50 grams of semi-sweet, and microwaved for 30-second increments, mixing in between, until melted.